As a Michigan homeowner, you are likely looking to keep your property in beautiful condition for as long as possible. We are all proud of our homes, and that pride should reflect in the beauty of your home’s interiors. When it comes to home flooring, we often receive questions regarding the best material choices for different lifestyles. The Shelby Design Center is here to be your source for comprehensive for quality flooring products that can enhance the beauty and comfort of your home. Our 20,000 square foot lighting and flooring showroom ensures that you have a wide inventory of stylish options to choose from! 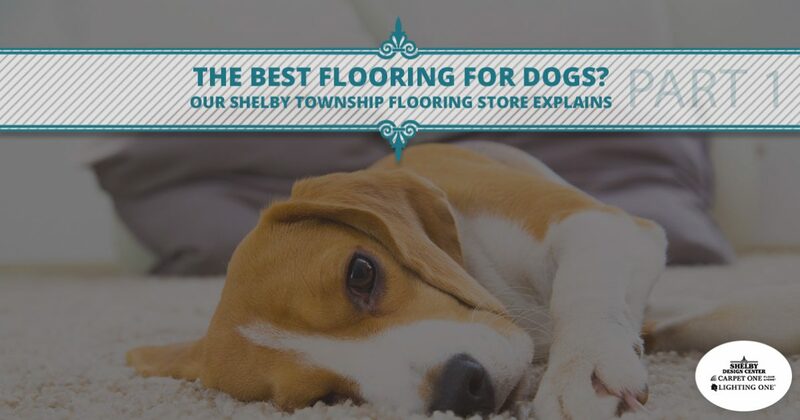 One question that our flooring store in Shelby Township fielded this week we feel is worth sharing — what is the best flooring for dogs? While there is no right or wrong answer here, today’s blog post will overview a few of our most common flooring materials to give you a better idea of how our surfaces will hold up to scratches, impacts, puddles, and more. 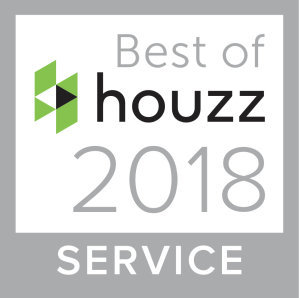 If you’re on this post because you’re in need of quality home design solutions, be sure to stop by our flooring showroom for assistance today! Below is a list of materials we have found to be the least prepared to handle the damages wrought by a household of dogs. Keep in mind that hair, dandruff, messes, and scratches are all major considerations when determining the quality of your new flooring investment. Our list is basic in its overview, and will not highlight flooring materials that are treated for better results, so be sure to do your research before buying! Carpet flooring is a beneficial fabric that helps to hide much of the dirt found on your floors. The high piles of your carpeting will also be able to hide tons of pet hair, dander, allergens, and more. For those who are sensitive to allergens or have friends and loved ones with pet allergies, we recommend staying away from carpet as much as possible. Most often, people complain about the heavy amount of hair present in their fibers. While your shag isn’t the best for pets, our carpet suppliers are here to provide guidance to help you maintain a beautiful floor regardless of how many four-legged friends you live with! Traction. Many dogs struggle to find traction on hardwood floors. For puppies lacking in coordination and older dogs in need of surer footing, different flooring materials are available. Scratches. In trying to find their footing, your dogs will like be placing a lot of wear and tear on the surface of your hardwood floors. Moisture. Pet stains can prove to be more problematic when your floor is susceptible to water damages such as warping. If you have dogs on hardwood, be sure to keep a vigilant eye out for accidents and water spills alike. If you plan on providing for multiple canines, hardwood flooring may not be a top choice. Homeowners who can’t live without the character of hardwood can benefit from strategic rug placements to minimize surface damages. Many residents decide to invest in engineered wood flooring, which looks nearly identical to hardwood, but yields better protection against scratches and minimizes the maintenance. The previous flooring materials are not necessarily bad in conjunction with dogs, but the daily wear and tear, in addition to the maintenance, can add up. Below are the options that may prove very beneficial for you and your pack. Modern laminate flooring has evolved to become more durable and beautiful than ever. These products are durable, rigid, and made to imitate real wood. When it comes to dog protection, laminate is known to provide peace of mind by minimizing scratches, stains, and so on. Michigan homeowners can also benefit from the easy care and low maintenance requirements. One downfall for many laminate flooring options is that they are as slippery as hardwood. Your pets and their claws may struggle to gain traction on this surface. Many homeowners have benefited from investing in textured laminate flooring that helps to recreate the true feel of the surfaces being imitated. Your pups will be able to move safely, and you’ll rest easy knowing that your floors are ready for the challenge. Finding the right flooring materials can help to make your Michigan home more enjoyable for your family members and furry companions. Next time, we’ll continue this topic by highlighting the best flooring materials for four-legged friends. If you’re on this blog post trying to determine your choice, be sure to stop by our flooring store in Shelby Township for assistance. The Shelby Design Center is here to be your one-stop-shop for comprehensive design solutions across Michigan. Contact us now or stop by our flooring showroom for assistance!